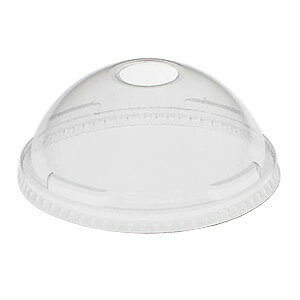 The Dart 24LCDH is a clear plastic dome lid with a hole on top. The lid will fit both 16 & 20 oz Dart cups. Secure fit helps to reduce spills! It's great for frozen drinks, fruit smoothies and more.